Since you can’t be at two places at once, it’s extremely important to make your home safe and accessible. This is especially the case if you your kids are still toddlers and you can’t trust them to look after themselves. Luckily, there are some simple alterations you can do to your home that’ll make everyone in your home a lot safer. For example, installing motion-sensitive lighting options and rearranging cupboards to make every item accessible is easy and can be helpful. Eliminating trip hazards such as cords and edges of area rugs is also a good idea, as it’ll help you ensure both your parents and kids are safe. In case you don’t live in the same house as your parents, it’s still advisable that you make both your and your parents’ home as safe and accessible as you can. Another hazard that you need to be aware of is the fact that you might get too lost in the present to care about the future. You see, responsibilities that you may have at the moment may be so overwhelming that you have no time or resources to plan anything, however, this is never a solid plan. What you need to do is think what comes tomorrow, in a week or in several months. For kids, this might be starting their days as preschoolers while for the aging parents this might be something in terms of elderly care. Regardless of what facility you choose to go for, you need to pick something nearby. For instance, if you’re situated in Central Coast, it’s far better for you to look for retirement villages in Central Coast than to look for them in Sydney or Newcastle. Sure, it’s only an hour’s drive but you would be surprised at just how big of a difference this can make. People tend to forget that kids are aware of what’s happening in the household and are ready to help. Even if you try to keep most of the “heavy stuff” out of their world, they still know what’s going on ‘so keeping secrets from them doesn’t make sense. Not to mention that they’re probably feeling helpless and having your kids contribute could actually help them feel better. If your kids are teenagers and old enough to assist you, you can assign them tasks that’ll make caring for your elderly parents a lot easier. 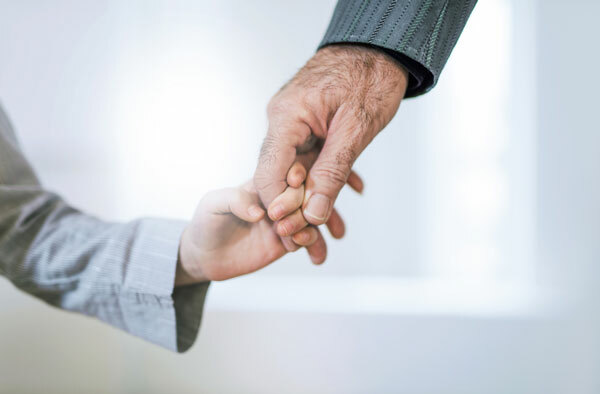 On the other hand, in case your kids are still too young to help, make sure you at least foster open communication and have them talk to you about anything they want to know about their grandma or grandpa. The more communicative your family is, the more connected it will remain even during the toughest times. You probably know how in pre-flight safety demonstration they say you should always put your own oxygen mask first and then make sure everyone else around you has put on theirs? Have this metaphor in mind and you’ll actually be able to provide your kids and elderly parents with better support. Think of it like this – if you suffer a serious injury or something else happens to you, it’ll only make it more difficult to those around you to look after your kids and parents. Therefore, make sure you don’t forget about your own well-being and remain healthy and balanced through this journey. We recommend always finding a way to take at least 5 or 10 minutes to get some rest, even on your busiest days. Maintain a healthy diet, work out whenever possible, get enough quality sleep and only then will you be able to provide your loved ones with the care they need. There’s no doubt you’ll be under tremendous pressure while looking after both your kids and your elderly parents. The most important thing to have in mind is that you shouldn’t let yourself stress out and always have a plan. Learn how to take care of elderly people, make sure they live in a safe environment, talk to your kids and you’ll have nothing to worry about. And when the times are rough, remember that you can always rely on your friends and family, and there’s nothing wrong with letting them assist you.